That’s the question many small and midsize businesses are trying to answer. Employees are scattered. So are clients. Today’s office can be a kitchen counter or an airline seat. Customers demand excellent experiences regardless of device. Mobile devices reign supreme. The workforce and your customers are global — and moving at a relentless pace. 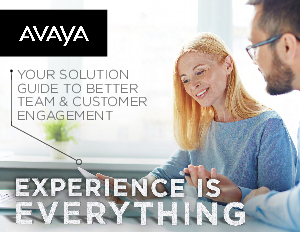 With Avaya IP Office, everyone will now be engaged with a complete, across-the-board solution that brings it all together. Read this paper to learn how Avaya IP Office will help give your business a competitive edge.